How to include a SmartSlides slideshow into your CloudSpot client galleries. 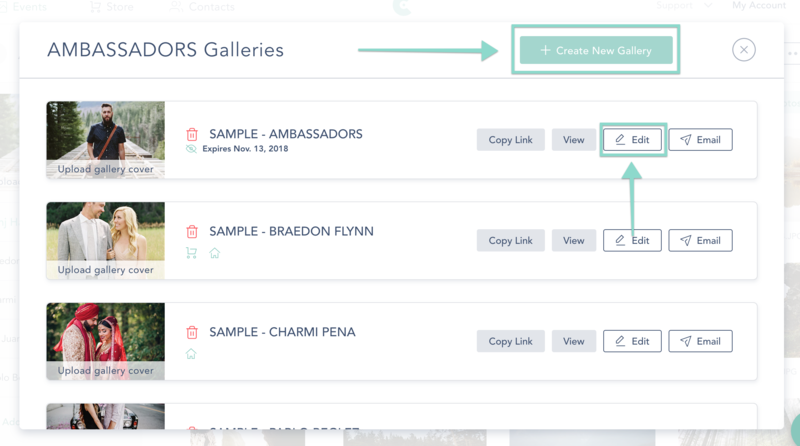 You have the ability to add beautiful slideshows from SmartSlides directly into your client galleries! Navigate to your Collection and click on the "Galleries" button. Then, either edit or create a new online gallery. Within your gallery's settings, on the Advanced tab, you'll see the option to select and add a SmartSlides slideshow. Copy and paste your slideshow URL into the "Add Link Here" section, then click the "Publish" or "Update" Gallery button once all gallery settings are completed!